Three Vietnamese technology and telecommunications groups have been shortlisted in the 40 most valuable Vietnamese brands selected by Forbes. VNG is on the list of the 40 most valuable brands in Vietnam. Forbes Vietnam recently announced a list of the 40 most valuable brands in Vietnam, chosen from more than 300. 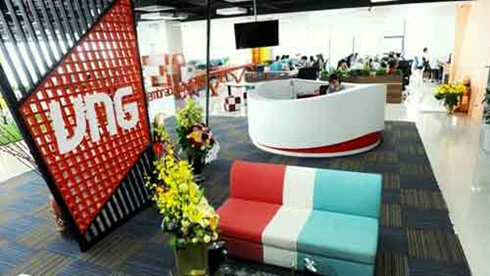 Among them, VNG is a leading internet company, with a total brand value of US$35.5 million; Viettel holds 52% market share of Vietnam’s telecommunications; while FPT is the largest technology corporation in the country. Forbes measures a brand’s value by looking at its financial figures. The most valuable brand should reach a large turnover in the industries in which the brand plays a leading role. Forbes requires transparent financial data, and some companies, despite being considered notable brands – including KYMDAN, Euro Window, Novaland, and Tan Hiep Phat – do not have sufficient basis to calculate their brands’ value. Similarly, it is also difficult to determine the value of several State-owned enterprises in the process of equitisation, with lack of fully published financial figures. Some businesses that have developed their brands for over 20 years are not included in the list as they transferred more than 50% of equity capital to local or foreign companies as in the case of Kinh Do, Vinacafe Bien Hoa, and Vinh Hao mineral water./.